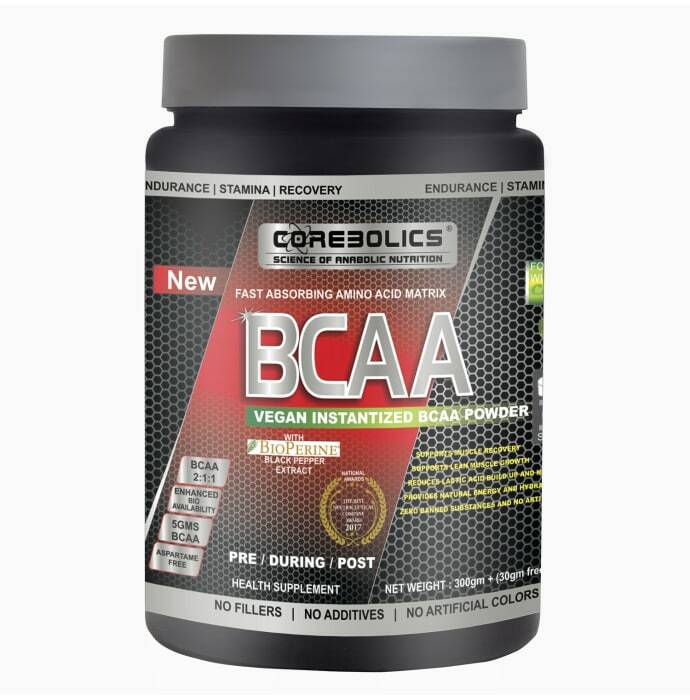 Corebolics BCAA refers to three amino acids that play a vital role in muscle protein synthesis. BCAA provides maximum recovery and supports the immune system. It reduces the soreness of muscles and builds a stronger body. BCAA helps to fight delayed onset muscle soreness so that you can come back stronger, faster and ruthlessly attack your next training session. Take 1 level of scoop with 6-8 ounces of water. It can be consumed before training, or between meals. Use this product as a part of proper diet and exercise program.